Toronto has its fair share of cultural icons. Today, it’s Drake – our chart-topping, Raptors-loving rap superstar whose nickname for Toronto, “the 6ix,” has become a part of our daily lexicon. 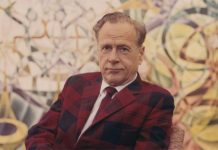 In the 1960s, it was a group of forward-thinking intellectuals led by Marshall McLuhan, one of University of Toronto’s most famous professors. He became a celebrity as his ideas on mass media, culture and technology attracted fans like John Lennon, Woody Allen and Pierre Trudeau. A heritage plaque dedicated to McLuhan was unveiled Wednesday at the coach house where he taught and hosted discussions for much of his career. 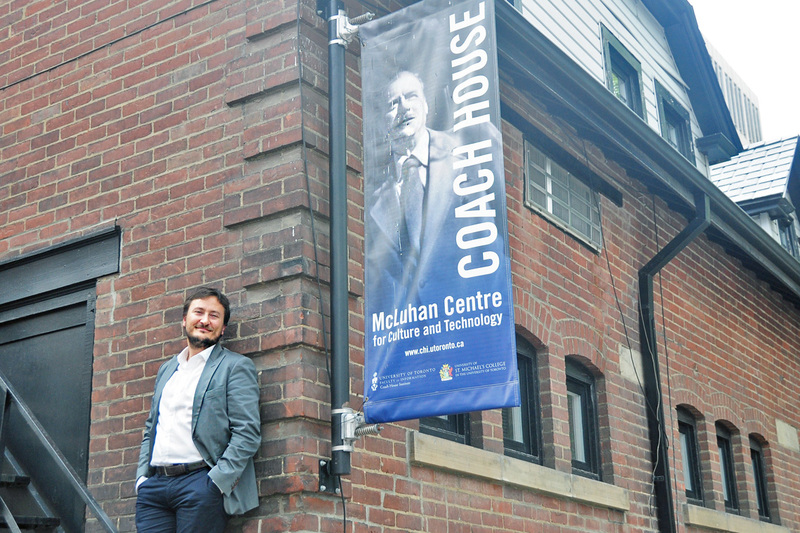 The building is now called the McLuhan Centre for Culture and Technology. Starting today, the McLuhan Centre, which is part of the Faculty of Information, will be launching a series of events that explore the value and importance of McLuhan and the famed group of intellectuals who were called the Toronto School of Communication. The McLuhan Centre hopes to spark a conversation that will inspire a new generation of thinkers with a three-day conference called Toronto School: Then, Now, Next. “McLuhan famously broke and transcended boundaries – between disciplines, between academia and popular culture, between the local and the global,” said U of T President Meric Gertler at the unveiling event. “But he was rooted here, among colleagues from a range of disciplines, in what would become known as the Toronto School of Communication – a brilliant talent-cluster that helped accentuate U of T’s position as a world-leading centre for creativity and leadership in the humanities,” he said. Also in attendance was McLuhan’s son, Michael, who said that what keeps his father “relevant and marvellous today” are the people who continue to debate and discuss McLuhan’s ideas. 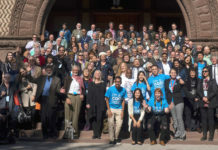 “[The conference] just speaks to the far reach that he has all over the world, not just here in the city of Toronto,” he said. McLuhan along with Harold Innis, Eric Havelock, Northrop Frye and musician Glenn Gould formed the Toronto School of Communication, which forever changed how we view our relationship with media and technology. The three-day conference, which starts today, features guests and speakers from 21 different countries. 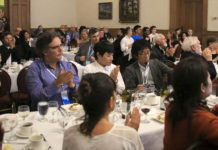 “We are really building a community around the label of the Toronto School,” says Paolo Granata, McLuhan Centenary fellow and conference chair. McLuhan’s insights have never been more relevant than they are today, says U of T alumna and editor of The Toronto School of Communication Theory, Rita Watson. His ideas eerily foreshadow our Internet-obsessed culture and the rise of social networks. “He predicted a crisis in the modern era as literate ‘mentalities’ that had evolved in literate cultures tried to integrate the effects of electronic media,” says Watson, who will be speaking at the conference. McLuhan knew electronic media would change our lives, says Granata. “This kind of network is where the ideas come from. It’s where innovation comes from,” he says. 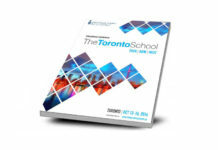 The Toronto School conference is also an opportunity to give a voice to a more diverse group of media theorists. “A lot of young women are involved in this conference as student volunteers or as panellists,” says Emma Findlay-White, a fourth-year student at Victoria College in book and media studies and the conference’s volunteer coordinator. “There’s a lot of different ways women are getting their perspective and views out there. It’s important that we’re changing the role women play in media.” And change is good for the Toronto School.